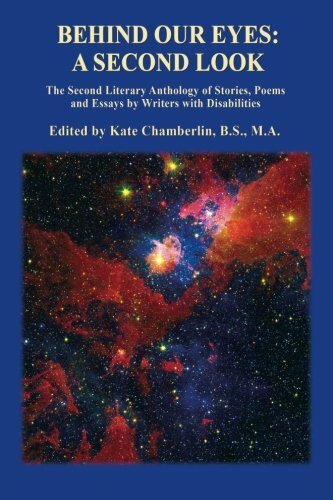 "Behind Our Eyes: A Second Look" is the second literary anthology by writers with disabilities. The topics range from ridiculously absurd to tragically abusive, from cats and rabbits to guide dogs and even a guiding miniature horse, from medical fiascos to survival tactics, and through pangs of deprivation to heights of success. The vivid tapestry of life these writers weave with their stories, poems, and essays demonstrates what a diverse group of writers they are; yet this tapestry of creative writings showcases how similar they are to each other and to the world. This Behind Our Eyes organization’s anthology takes a second look at the intriguing and insightful pieces of sixty-five writers.